Congratulations to Warners Bay High School who have claimed their second victory, coming out on top as today’s champions at the 2019 Yr 11/12 Mixed Challenge. 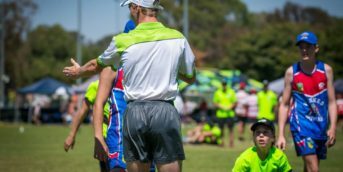 32 teams from all over NSW venutred to The Kingsway Playing Fields to compete in the Yr 11/12 Mixed Challenge – a school event designed for boys & girls across the state to get the opportunity to represent their schools in a mixed competition. This year saw 14 new schools participating, including Canobolas High School out West and Tomaree High up North. Many Hunter & Metropolitan schools also investing in the expanding event, as well as St Joseph’s Catholic HS Albion Park coming from the South Coast. The events expansion made the day more competitive, with schools competing for finals positions. The quarter finals saw a mix of schools from across the State contending for finals spots. 2017 champions; Narara Valley High School, were among the 8 teams in the quarter finals. Tomaree HS coming out victors in a strong defensive game against Narara Valley and progressed through to the Semi Finals. 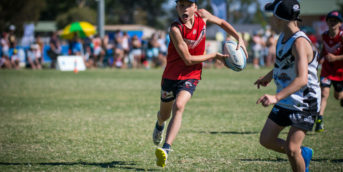 Blaxland High were quick on their feet edging out Mudgee HS in their quarter final; while Warners Bay looked to defend their title with their win over St Francis Xavier’s Team 1. Holy Cross College & Marist Sisters College teamed up for the day and had a great run in their quarter final up against Hunter Sports, progressing through to semi-finals with a close win of 4-3 against Hunter Sports HS. Even though the wet weather crept in and the rain eventually came, it did not dampen any spirits during the Semi-Finals as the top 4 teams faced each other. 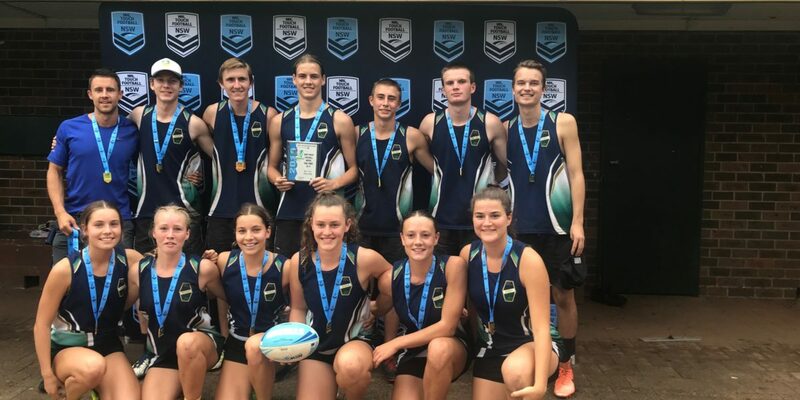 2018 champions, Warners Bay High played Blaxland High, as well as new-comers Tomaree High up against 2018 semi-finalists, Holy Cross/Marist Sisters. Blaxland have shown strength in the Penrith Regional All Schools events and proved their quality in the Mixed Challenge. They put up a good fight in the semi final in a close game, however Warners Bay came out on top with a 4-2 score to confirm their grand final position. In the other semi-final; Holy Cross/Marist Sisters started stronger, scoring the first touchdown. Both teams kept patient, Tomaree managed to pull the score back to 4-all at the buzzer. The game then went to drop-off, where Holy Cross/Marist Sisters secured their position to the grand final. When it comes to grand finals; this is one of the great ones. Warners Bay HS challenged the combined Holy Cross/Marist Sisters. Warners Bay jumped to an early lead with some quality finishing. Not allowing Warners Bay to stretch out their victory, Holy Cross/Marist Sisters kept it close, pulling the game back in to a 5-all deadlock. With just seconds left on the clock, Warners Bay gained momentum on the field getting through the line to score the winning touchdown. Congratulations again to Warners Bay for defending their title, and players of the finals Mia Rodgers (Holy Cross/Marist Sisters) & Blake Potts (Warners Bay). NSW Touch Football would like to thank the Schools, Staff and Students who competed and made today such a huge success. Another massive thank you to all the referees who attended to help us deliver this event. Once again we would like to thank Penrith Touch Association for their continuous support of NSW Touch Football Events. For full results form the day, please visit the NSW Touch Secondary Schools Page.